Business, technical, and industry experts share best practices on the latest networking solutions from Cisco. Browse our catalog of online, on-demand events or interact with Cisco in real time by registering for an upcoming live event via the Upcoming Events tab below. Learn all about converged infrastructure bundles from the geeks you can trust at Watch the latest episode and hear from solution vendors, get the skinny on FlexPod and Hadoop integration, and listen to our recommendations. Don't miss it! Join "the geeks you can trust" to learn how to make video easier to use and more accessible. See how to reap the benefits of lightning-fast 100Gb speed, enjoy better resource utilization and security, and gain greater operational simplicity and efficiency in this TechWiseTV episode. 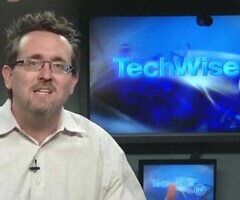 Join Cisco India as they host TechWiseTV's Chief Geek Jimmy Ray Purser on a adventure thru networking. The TechWiseTV team invites you to "BYOD" or Bring Your Own Device as they hit CiscoLive in London to track down the strategies and technologies to address this wireless multi-device phenomenon, and how to adapt to the ever-changing landscape. This is one show you will NOT want to miss! Watch and learn how Cisco's Unified Fabric architecture can help your organization gain operational efficiency, agility, and innovation. Join TechWiseTV’s Chief Geek Jimmy Ray Purser for a deep dive look into Combining SAP Applications and Cisco Unified Computing System (UCS) from a Network Engineers point of view. 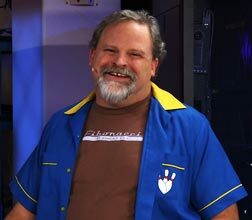 Join TechWiseTV’s Chief Geek Jimmy Ray Purser for a deep dive look into Data Center Transport and Virtualization from a Network Engineers point of view. Learn how you can optimize branch application performance and survivability, enable ubiquitous yet secure access from anywhere, and automate more of your IT support. When is a server not just a server? The answer to that one is easy; when a engineer recommends it. There are cheap servers, expensive servers and servers just look darn cool in the rack! But what an engineer needs in a server is something that changes the game. Something that gives us options to design networks in ways we never could before. A server that has actual engineering break through not found anywhere else. That server is the Cisco C-Series. Learn the implementation challenges to overcome and see how desktop virtualization can reduce IT costs, strengthen security, and create a transparent end-user experience. Learn how the newest data center and virtualization innovations can maximize the benefits of virtualization across your entire network, strengthen security, and simplify management. Is Your Network Ready for Next-Generation Threats? Learn how Cisco's new ASA CX context-aware firewall gives security administrators unprecedented visibility and control over the network. 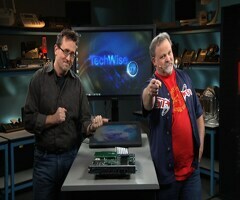 Join the TechWiseTV crew and see how the Catalyst 6500 Switch can deliver investment protection you want. Join the "geeks you can trust" for a close view of the Cisco Unified Access Network. See how unifying your network, policy, and management delivers the scale, performance, and flexibility you and your organization need. Get access to lab-tested designs with the Cisco Smart Business Architecture design guides, tips for preparing for tablets, and learn how to deploy Multi-protocol Label Switching to optimize WAN performance. Manage your network better without investing in additional software or hardware. Discover how to master the intelligence of Cisco IOS Software to monitor highly specific network operations. Learn why today's security threats are so hard to detect and find out the latest strategies and solutions you need to protect your network and your sensitive data. TechWiseTV: Discover the compelling ROI of virtualizing Unified Communications in your data center. Get an insider's look at the new Cisco ASA CX, explore the latest innovations in security, and dig into the network with Chief Geek Jimmy Ray Purser as he rolls up his sleeves and dissects the ins and out of routers, switches, and firewalls. Find out how the new Cisco Catalyst 6500 Supervisor 2T and new line cards and services modules deliver capabilities and performance critical to the Enterprise Next Generation Network. No, it's not "another tablet"! In fact, the Cisco Cius is a powerful business tool built to solve real business challenges. 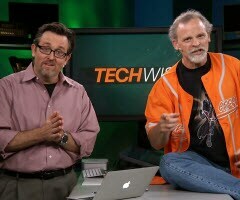 In this episode, our TechWiseTV geeks dive right into this powerful enterprise device with an unboxing, a multi-media test-drive, a look at the app development, and a complete security teardown. IPv6: Are you ready for it? Participate in technical, deep dive workshops with Cisco experts that help you maximize your investment in Cisco IP Next Generation Network (IP NGN) Solutions. Live events will include Q&A. IPv6 Security Issues Every Engineer Should Be Aware of ! X-Day. We are officially out of public, Internet routable IPv4 address. Every engineer looking to migrate towards IPv6 should not only understand this new way of networking, but also the new set of security challenges it poses for us. While it›s true that IPv6 mandates IPSec implementation, it DOES NOT mandate its use. Securing Networks from Threats like Wiki-Leaks! Data. It's our life-line. As engineers, when we read about Wiki-Leaks in the headlines, we tend to read between these lines and wonder how to protect our network from any such incident. See why our simple, smart, scalable, and highly secure solutions are changing the game. Get inside the latest Cisco enterprise networking technologies-and learn how they help enable IT transformation and create new opportunities for your business.! How can your contact center help you foster valuable customer relationships? How can it help respond to comments and questions about your company in social media? Get answers to these questions and more! Unified Communications: Am I Missing Something? Recent advances in virtualization and video may have you wondering: "What are we missing? Should we upgrade?" Now discover the business and technical benefits of getting current with your Unified Communications technology. Get an up-close-and-personal demonstration of the DX650 and see how this all-in-one collaboration device can make working together. Technology experts reveal how a medianet architecture can give your organization a major competitive advantage. Cisco TechWiseTV brings you collaboration innovations, including native integration between Jabber and TelePresence. TechWiseTV: Learn how you can accelerate video usage in your organization and remove barriers to adoption. 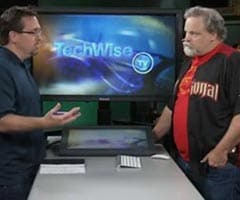 Join the TechWiseTV team for this latest on-demand episode and get the engineering view of the Application Centric Infrastructure.